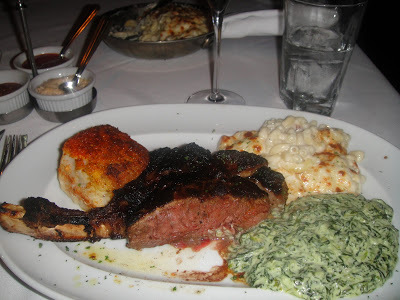 If you like steak, Mastros Steakhouse is one of my top favorite steakhouses. I usually go to the one in Beverly Hills, but this picture is from Mastro’s Ocean Club in Newport Beach, CA. If you’re in LA and are looking for a great steak experience, one of my recommendations would defintely be Mastros. Each Mastros has a piano bar with live music with a bar section, different dining rooms with a traditional romantic upscale vibe. Oh, and the warm bread they bring you in the beginning is amazing. It’s a basket of all different kinds from baguette to warm pretzel bread. I could make a meal out of their basket of bread! You’ll defintely walk out of Mastros with a food coma, lol….